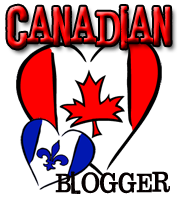 Today’s post is an interview with one of my favorite authors, Jeaniene Frost! She is popular for her fantastic Cat & Bones series, as well as its spin-offs, and you already guessed, I loved every single book. Read on to find out what Jeaniene has to say about our favorite couple, as well as some news regarding Vlad’s series, Night Prince, to be released in June 2012! 1- Hello Jeaniene! I'm so happy to have you on board =) Before we chat about Vlad, I'd like to know, what are your plans to keep Cat & Bones' relationship fresh and surprising now that they are in "married-couple mode"? 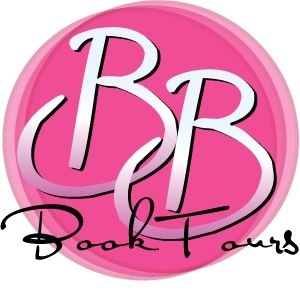 Is there a tentative release date for Cat & Bones' book #7? Thanks so much for having me on your site, Tynga! I don’t have a release date for Cat and Bones #7 yet. It will be out next year, that’s all I know for sure. As for keeping their relationship fresh, well, a lot is going to happen in these last couple books before their series ends. To no one’s surprise, those things won’t involve knitting or aromatherapy *wink*. I can’t be specific without spoilering, but I will say that the external hurdles will challenge their lives as well as their relationship. 2- I'm extremely excited that Vlad is getting his own series, I love the guy to death since I first met him, did you expect the fans to react this strongly to this character? I am SO happy that readers have responded positively to Vlad! It was while writing Destined for an Early Grave that I realized I wanted to give him his own book – and this was before At Grave’s End hit the shelves so I had no idea how readers would react to him. Dracula has been re-imagined so many times before, after all. In fact, when I started writing about vampires, I swore that I’d never touch that character because he had been literally done to death. I can tell you the exact moment that my subconscious changed my mind for me. I was writing the scene in At Grave’s End where Bones, Cat, and the others were strategizing and Bones suddenly announced that “the bloody showhound” was there. I knew at once who he meant. With that, Vlad popped into my mind with most of his personality intact, and one of those personality traits was him loathing the moniker Dracula (not to mention his tension with Bones). To have a character so quickly rounded out in my mind has only happened a few times before, so while part of me cringed that I’d broken my self-imposed Dracula ban, I couldn’t bring myself to delete him from the book. Obviously, I’m glad about that decision now. 3- Correct me if I'm wrong, but you are under contract for two Night Prince books, would you like/do you have plans to write event more books about him? You are correct, I have two Night Prince books under contract. I don’t know if there will be a third. I’m not intending there to be, but if I get to the end of the second book and realize that Vlad and Leila still have unfinished business, I may make their story a trilogy. I really wouldn’t anticipate it going beyond that. Carrying the same couple through several books is HARD, so unless I’d have stories banging away in my mind that I had to write about them – and readers liked the first two books enough for my publisher to warrant buying more – I see Vlad and Leila’s storyline wrapping up at a three books at most. 4- Are you planning more Night Huntress World books? Who would it be about? Ian maybe? At the moment, I’m not thinking beyond the second Night Prince novel and the final Cat and Bones books. That’s about two years’ worth of writing right there. I get a lot of requests for an Ian novel, but with my schedule, I’m not ready yet, and more importantly, neither is he. Even if my schedule magically cleared or I could clone myself so I could write twice as fast, if I gave Ian his own story now, it would revolve around him doing nefarious deeds while sexing up various people. That’s not a story I’d want to write for many reasons. I do have hope for Ian, though, that he’ll eventually realize the emptiness of his current lifestyle. If that happens, then I’d be glad to showcase him in a book. I already know who the heroine of that book would be (and no, I’m not telling yet ) but until he’s ready, Ian will have to stay on the sidelines. 5- To keep with our Paranormal April Fools' theme, which of your characters would be the hardest to fool, and how would they react? Mencheres might be the hardest to fool because of his occasional glimpses of the future combined with his ability to read minds. Plus, as he puts it, he’s “older than dirt” so there wouldn’t be many things a person could put over on him. For example, in This Side of the Grave, Cat and Vlad thought they were outsmarting Mencheres over something only to find out later that he was the one who’d set them up. Thank you so much Jeaniene for taking the time to answer my questions! I can’t wait to read Once Burned! I little dose of Vlad anyone? 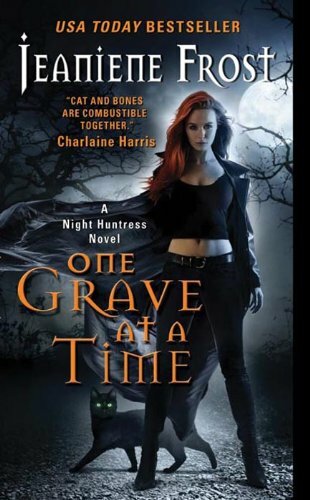 Avon is graciously offering one (1) copy of ONE GRAVE AT A TIME to a lucky reader. Frost lives in Florida with her husband, Matthew, who long ago accepted that she swears like a sailor, rarely cooks, and always sleeps in on the weekends. She and Matthew are the proud parents of Gypsy, their very spoiled dog, who believes Frost's only purpose in life is to cater to her. Aside from writing, Frost enjoys reading, poetry, watching movies with her husband, exploring old cemeteries, spelunking, and traveling—by car. Airplanes, children, and cookbooks frighten her. Thank you for the interview and giveaway! I can't wait to read more about Vlad. I've only read the first spinoff book but I enjoyed it. i absolutely LOVE your books and am so excited to read this one. thanks for the chance to win. I'm not entering because I own two copies already but I wanted to thank you for the interview. I love Jeaniene :). I love Jeaniene! I am a long time fan, but to be honest, I haven't been able to pick up a copy of One Grave at a Time yet. It would be awesome to win one! Thanks for the terrific giveaway! Great interview! Very excited for Vlad's book! If it is half as good as the rest it will be terrific! Hi, everyone, and thanks again for having me on your site, Tynga! looking forward to reading your cat and bones series! Jeaniene Frost is one of my favorite authors. So excited to see her interview, thanks!! Great interview. I love Jeaniene Frost and can't wait to read Vlad's story! Thanks for the chance to win. Thanks for the interview and the chance to win a copy of One Grave at a Time!! At this very moment, I am reading This Side of the Grave. I love Vlad, can't wait to read his story. Sounds very intriguing.. Thank you so much for the great giveaway! This series is amazing! I love anything you write. Looking forward to Vlad. Thank you for the giveaway. Thank you for the giveaway. I love Vlad so I can't wait for his book to come out! Thanks for the chance to win the giveaway. I really love Vlad and cannot wait for the book to be released!!! But I love all your books!!! Oh I love this series. Thanks for the giveaway. I'd love to win. Great interview! Can't wait for Vlad's book. Thank you for the giveaway. I can't wait for Vlad's story. I love that cover with Paul Marron on it.Thanks so much for this opportunity. I can't wait to read about Vlad. I have read all Jeanine frost books and can't wait for Vlad's story. Oh my gosh, I haven't read any of these books! Shame on me! I need to go find the first in the series! Thanks so much! I haven't read this series, although I did recently read a Cat & Bones short story. That definitely made me want to read more! Your a hit. Thanks for always letting hang with you when ever we get to see each other. I'm excited to read Vlad's book since I know what his home is based from. I'm looking forward to the description's via Vlads eyes. Have fun at RT. And thank you for the giveaway. LOVE Vlad and Bones. I can't wait to read them both!! I loved the first book in this series and can't wait to read the rest of the series! I'm dying for my Vlad fix!! I love to-read anything Jeanine writes! Thank you for the chance to win! Lovely interview! Love the books and can't wait for more. I love this series and I love Vlad! I am currently reading this series and I am in love with all the characters. I can't wait to read more about Vlad, he is one of my favorites. I look forward to finishing the series and to any upcoming books. Thanks for the interview and the giveaway. Thank you for the Interview. Anxiously awaiting Vlad!!!! I love this series!! I can't get enough! Patiently waiting for Vlad!! Thanks for the chance. I'm so excited for Vlad's story but sad as hell that Cat and Bones' series is coming to an end. Will miss Cat & Bones! Thanks for the great interview and giveaway. I love Jeaniene and am so excited to read Vlad's story! 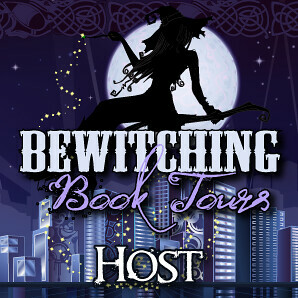 I didn't believe the hype about the Night Huntress series until I read it & am now HOOKED! Looking forward to more in that world.